As a parent, you know the importance of bringing your child to the pediatrician for regular well-visits. Knowing that your child is reaching developmental milestones and is otherwise healthy can provide great peace of mind. Hopefully, you find the time to squeeze in your own annual physical as well. But how often do you check in on your financial health? Just as optimal health requires regular check-ups with your doctor, your family’s financial well-being requires a regular review of your finances and progress towards your long-term goals. Most people cringe when they hear the word “budget,” but keeping track of your annual income and expenses is the cornerstone of financial health. A good place to begin is to review your prior year’s spending. If you put most purchases (for example, food, clothing, and travel) on a credit card, you can use the year-end summary provided by most credit card companies. Add to that any other major costs – mortgage or rent, car payment, childcare costs, etc. This should give you a general sense of how much you spent the prior year. Alternately, you can use a website like Mint.com to track all your accounts in one place and aggregate this information. Now that you have a sense of your annual spending, compare that to your annual after-tax income. If you were able to save money over the past year and build your nest egg, give yourself a pat on the back – or, better, a nice glass of wine. You deserve it. If you’ve spent more than you’ve earned or if you haven’t saved anything, think of small ways to save money each month. While small savings can seem pointless, they add up over time. Consider making coffee at home instead of spending $5 a day on Starbucks, or bring lunch to the office one or two days a week. Set goals that are realistic and easy to measure. This is also a good opportunity to review your longer-term financial goals, such as retirement, buying a home, or saving for your child’s college education. A financial advisor can run models for you to help you track your progress and see how different savings patterns will affect your timeline. Contributions to a 401(k) or to a flexible spending account can often be taken directly out of your pay check. This is an easy and tax-efficient way to save money. These elections can often be made only once a year during an open enrollment period. If you are not making regular, automated contributions to a 401(k), this can be a good time to discuss putting money into a retirement account. The 2017 contribution limit for a 401(k) is $18,000 and for an IRA account is $5,500 for someone under the age of 50. Your IRA contributions may be tax-deductible, but the deduction may be limited if you or your spouse is covered by a retirement plan at work and your income exceeds certain levels. If you have not yet started saving for college, consider a 529 plan. The earnings in a 529 plan grow federal tax-free and will not be taxed when the money is taken out to pay for college. In addition the federal tax savings, many states offer residents a tax deduction or credit for 529 plan contributions. Now is also a good opportunity to review past charitable contributions and discuss giving for the coming year. Donations to a 501(c)(3) nonprofit organization are tax-deductible under federal law. If you donate appreciated securities, you will also avoid paying taxes on the capital gains. Some couples like to put aside a certain amount of money each year for donations so they are prepared when they get those friendly e-mails from friends asking for contributions to their latest fundraiser. Investments are a key element of most people’s long-term savings plan, but too often the details get overlooked. How many times have we all gotten our latest brokerage statement in the mail and tossed it aside without even opening the envelope? You do not need to review each and every monthly statement (unless you enjoy it! ), but a minimum of once a year, you should carefully review your portfolio. If you have various 401(k) accounts from past jobs, remember to include these as well, and consider rolling them into one IRA to make it easier to manage the funds. It is important to examine your allocation to make sure the mix of stocks, bonds and other investments is still relevant. If there have been large moves in the market, you may need to rebalance your portfolio to ensure it meets your risk and return objectives. Now is also the time to assess your portfolio’s performance – including the individual funds’ performance – to see if changes are needed. Click here for things to look for when reviewing your investment portfolio. A credit score measures your creditworthiness and is based on many factors including past debt and payment history. The score will range from 300-850; the higher the number, the better (anything over 750 is considered excellent). Your credit score will determine whether you qualify for a loan and at what interest rate, so a good score is particularly important if you are looking for a mortgage to buy a home. Your credit report is like your cholesterol test; it is likely to be fairly constant year to year, but you definitely want to catch anything that looks out of whack before it poses a problem. You can receive one free credit report a year from Equifax, Experian and Transunion. And while you are at it, take steps to protect your identity. Identity theft is the fastest growing crime in the U.S. Finally, if you have had a major life event – think marriage, birth of a child, divorce, or death – consider how those changes affect your family’s financial plan, and be sure to update account beneficiary information and any other important documents, like wills, powers of attorney, and healthcare proxies. If you have recently had a child, you may want to buy a life insurance policy or add to an existing policy. We are all so busy these days. Whether working outside or inside the home, the demands are endless. Yet most of us do not hesitate to spend hours researching the intricate details of Kidville vs. New York Kids Club vs. Appleseeds (guilty as charged). We will obsess over what venue is the best place for our kid’s birthday party. We will analyze who has the best swim class and which facility has the warmest water. But we often do not take the time for a critical assessment of the health of our finances. You should sit down at least annually for your financial check-up. The New Year is a great time to look at the prior year and plan for the next one. Alternatively, you may wish to do it around the time you gather your paperwork to prepare for filing taxes. The key is to pick one time in the year and stick to it. 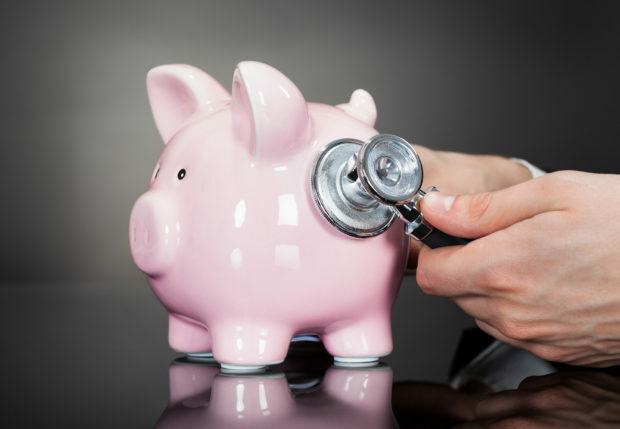 Like a doctor’s appointment, a financial health check-up may not be your idea of fun, but it plays a critical role in helping your reach your financial goals and maintaining your family’s financial health. And it is a lot less painful than getting your kid into a Manhattan swim class.